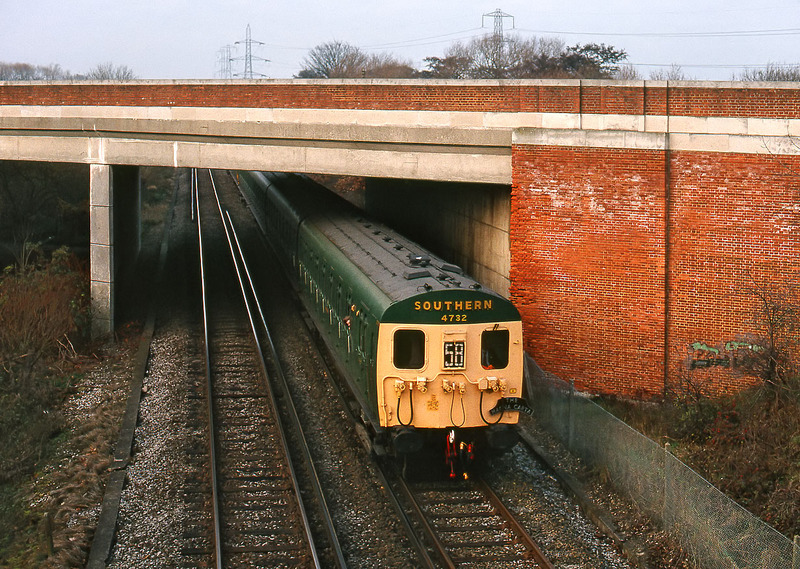 Preserved Class 405 4-SUB 4732 passes underneath the A30 dual carriageway at Staines Moor on 10 December 1989. It is working the 13:58 Windsor & Eaton Riverside to Staines service, one of a large number of trains operated with heritage stock during the Windsor & Eaton Gala Day. It is partnered with Class 401 2-BIL 2090 (hidden by the bridge). On such a dull day at least the red brickwork puts some colour into the picture. Notice how the bricks on the edge have been severely eroded.